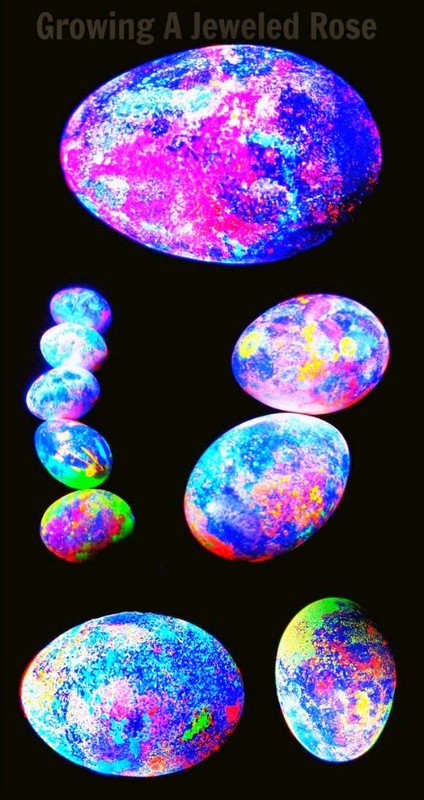 grandma's cookie jar: crafting with grandma - Glow-In-The-Dark Eggs! It is finally April and Resurrection Sunday is just a few weeks away, so I thought it would be fun to browse on Pinterest for some fun Spring crafts; which is when I came across this great idea for glow-in-the-dark eggs! This looks simple, unique and like something my grandsons will have a lot of fun with! Follow this link for the complete directions, supply list and photo tutorial and you will know all you need to know about how to make these fun eggs with your grandchildren! What is the most unique way you have ever used to make colored eggs with your grandchildren/children? Enjoy!